Last year, Google confirmed that it was launching Area 120, an internal incubator program for the company’s employees to build businesses around products borne out of their ’20 percent’ side projects. One of the first apps to come out of the initiative is Uptime, an iPhone app for watching YouTube videos with friends. 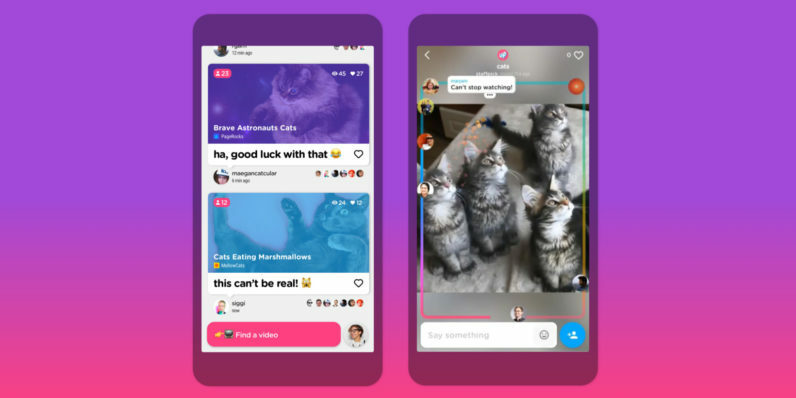 Previously available in the US on an invite-only basis and now open to all, it lets you see who else is watching the same video as you in real-time, and you can also add comments and reactions. Tap a video and you’ll spot your avatar moving along a progress bar, as well as other viewers’ icons. You can also share clips from YouTube within the app, and follow people to see what they’re watching. There’s not a whole lot else to the app right now and you may not spot friends on Uptime just yet, but it’s still fun to play around with. I’d like to see some of these features integrated into the default YouTube app – given how much time I spend on the platform these days and often beam clips over to friends via messaging apps, it’d be great to be able to interact with them over clips without switching screens. You can try Uptime for yourself by grabbing it from the App Store. Update (June 27, 2017): TechCrunch noted that Uptime no longer requires an invite and is now available to all iPhone users; it’s also been updated with features like the ability to find Facebook friends to follow, support for watching music videos, and a fresh home screen that focuses on surfacing clips you might enjoy.